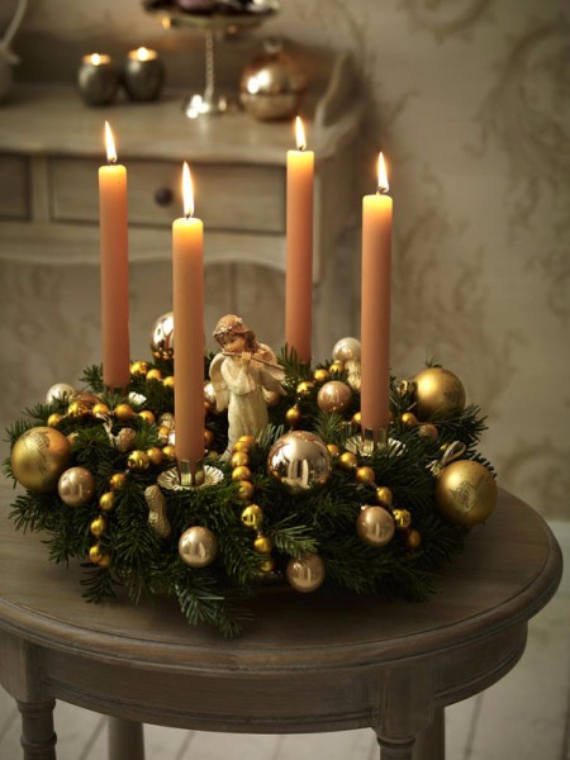 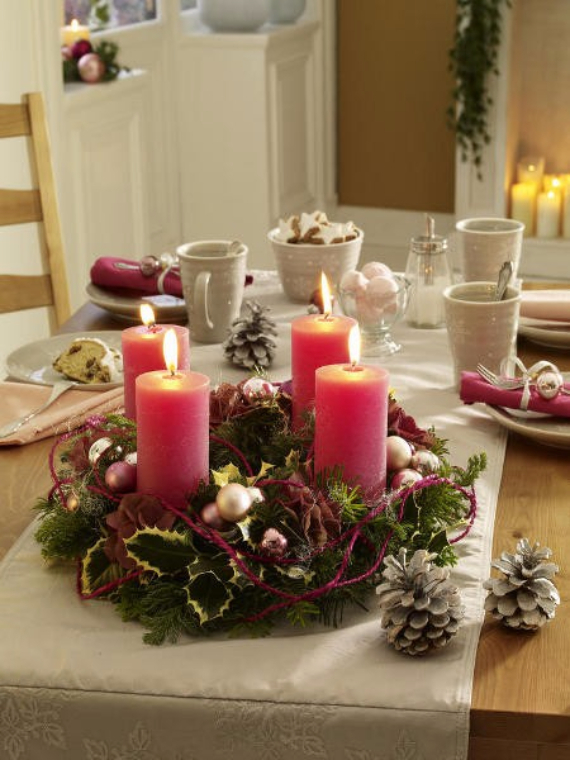 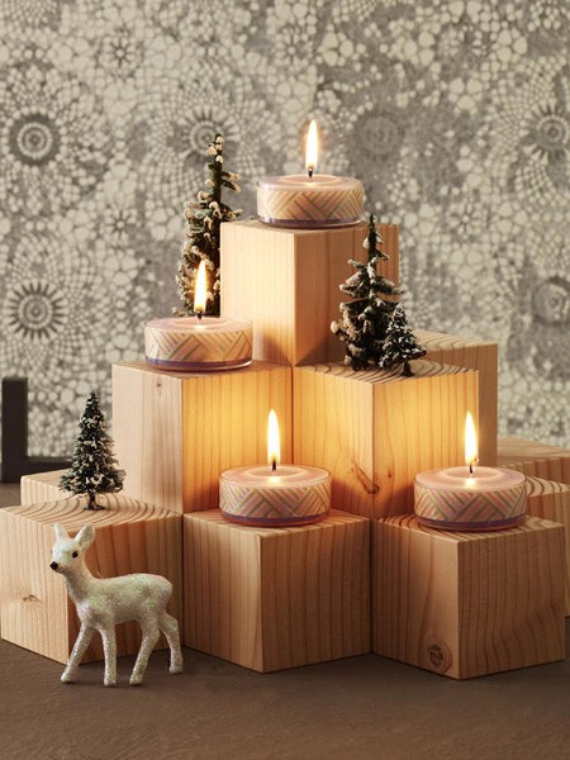 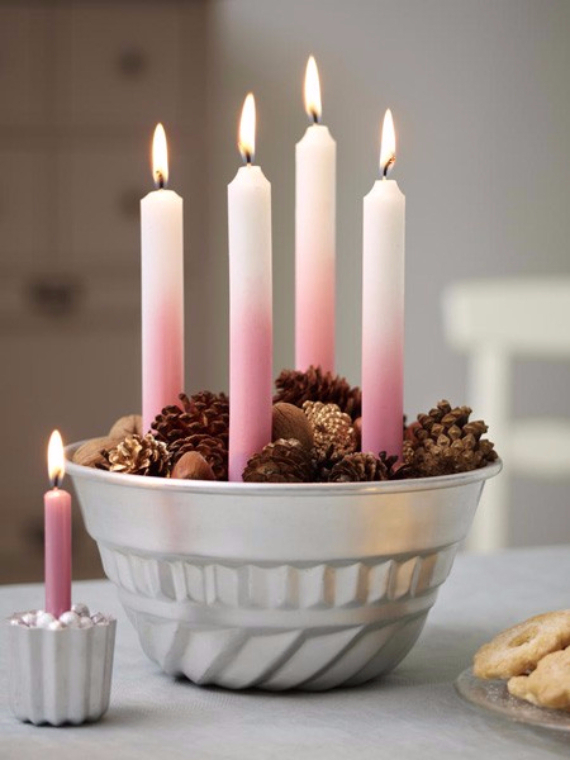 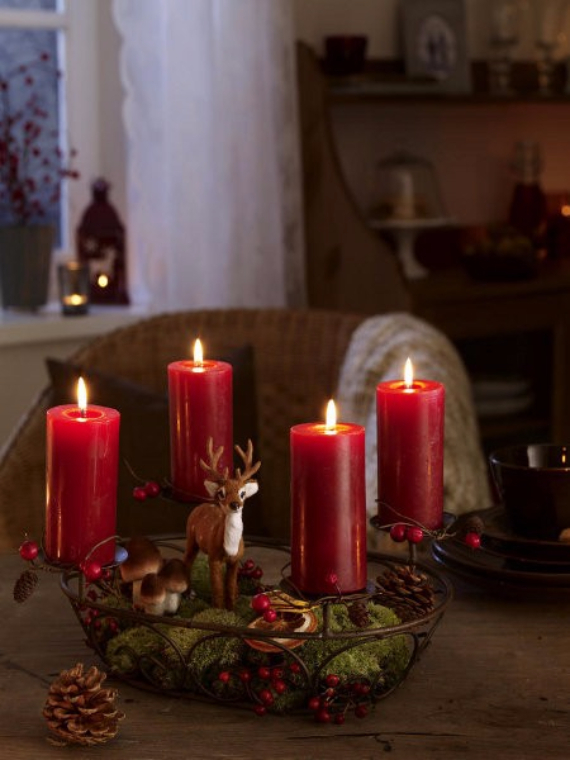 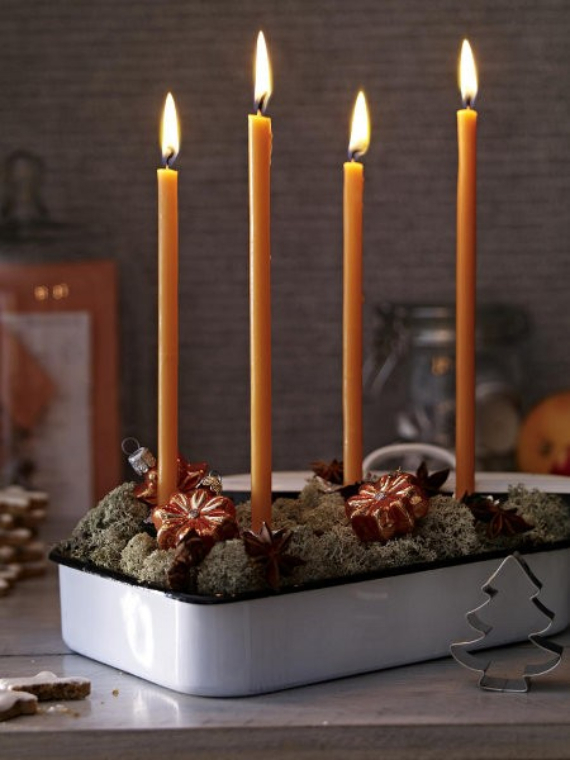 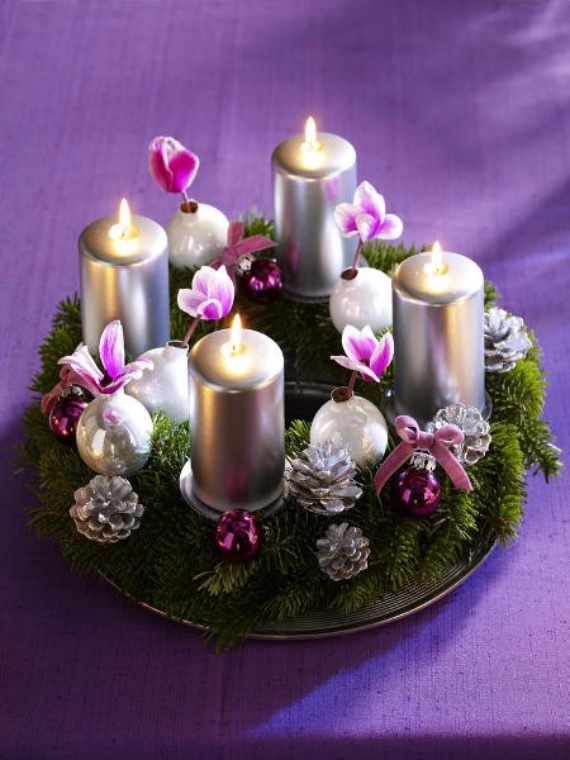 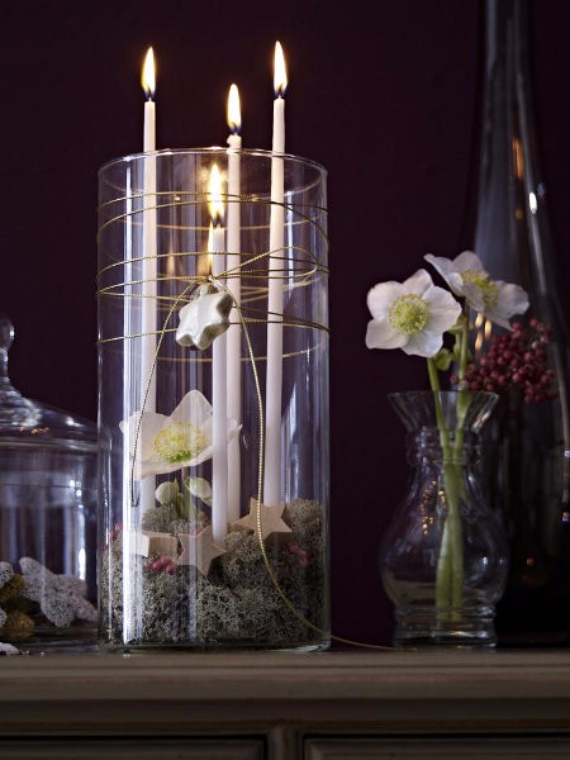 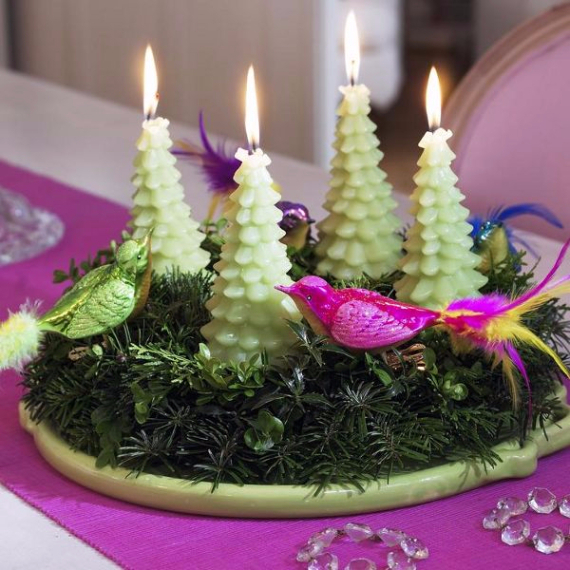 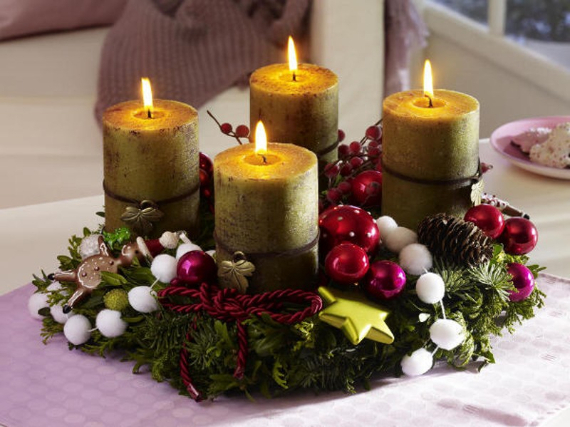 The custom of lighting Advent candles is an old Christian tradition that had been practiced Advent devotions for many years; one candle of the four on a traditional advent wreath is lit during each week of Advent. 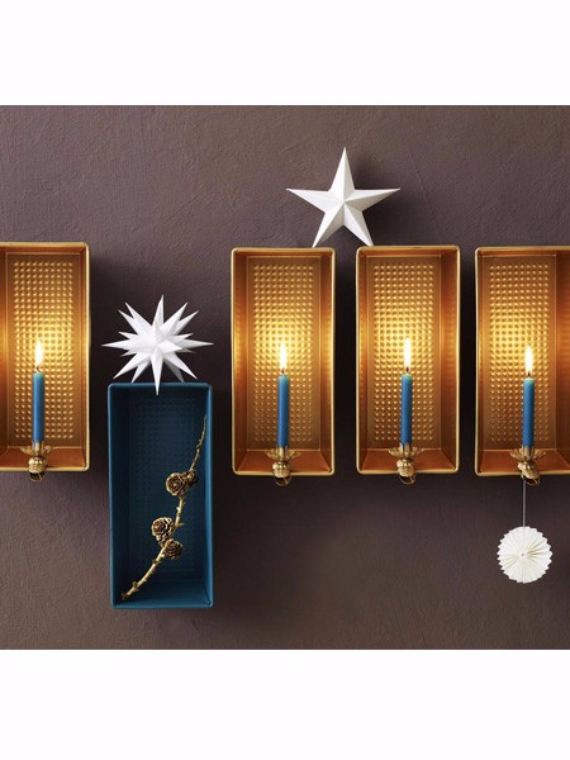 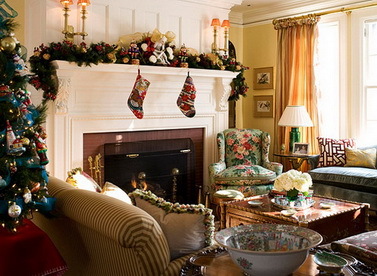 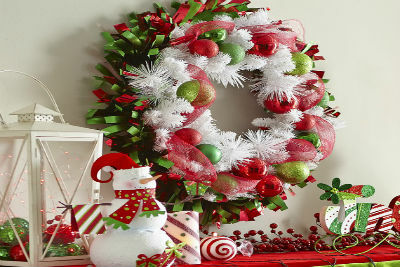 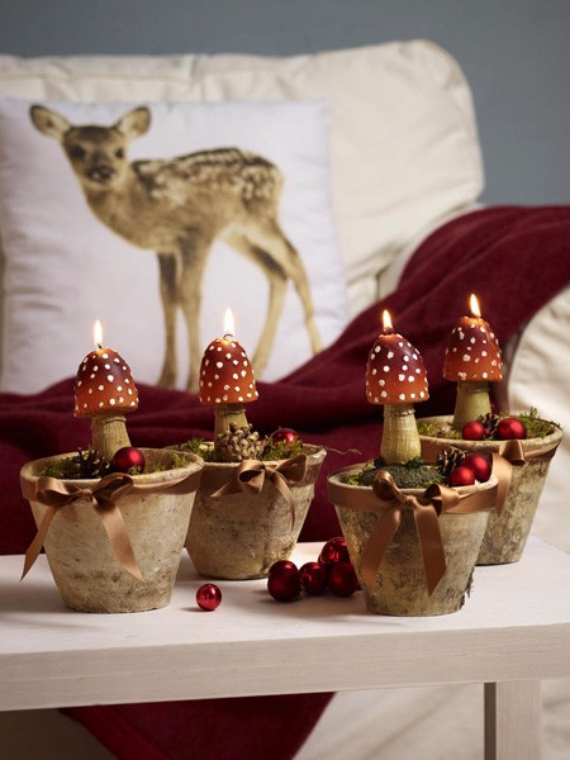 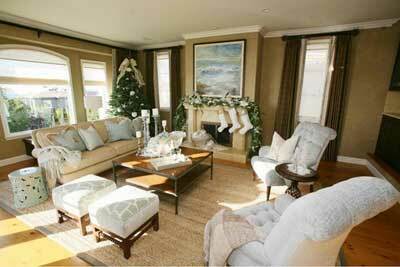 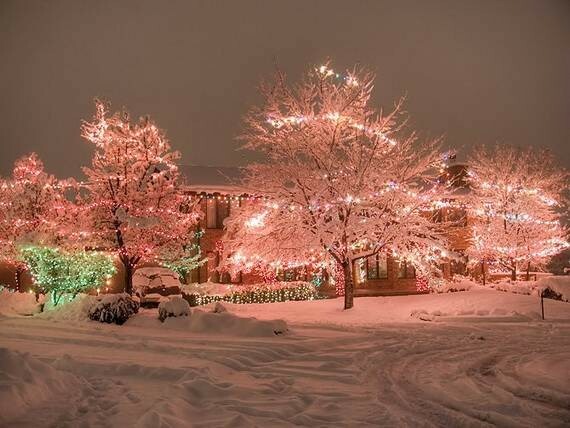 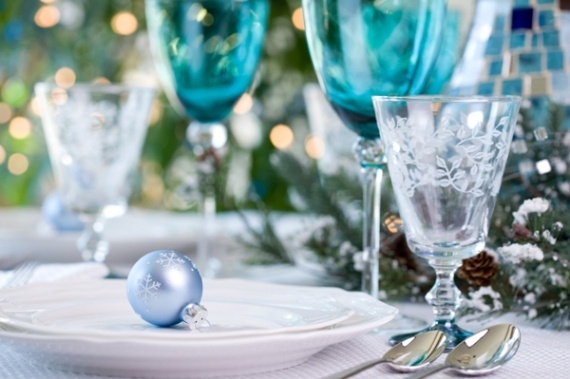 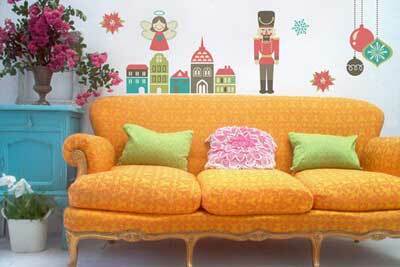 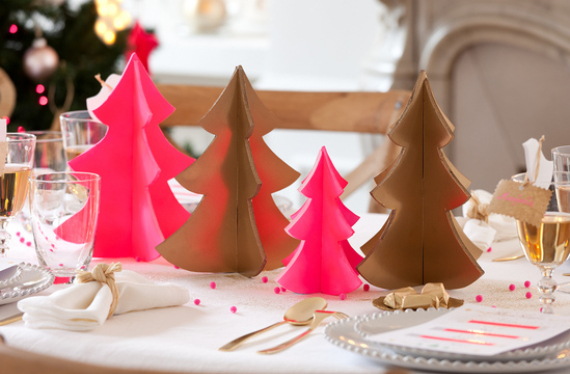 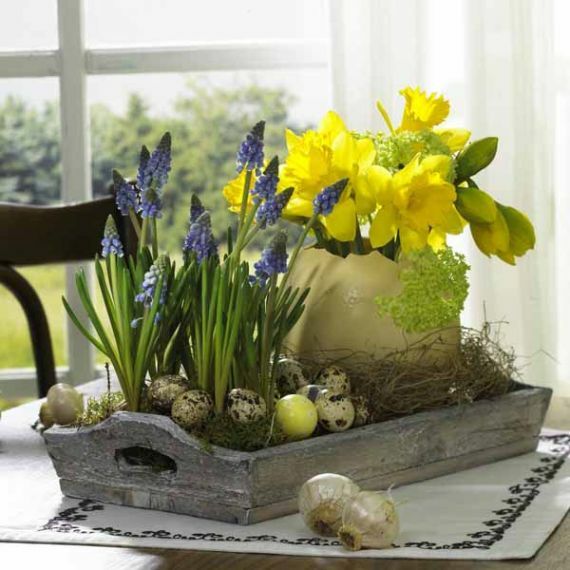 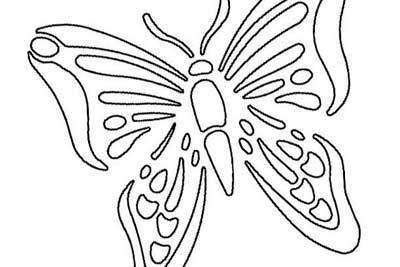 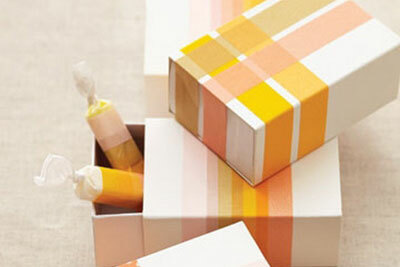 You can also get inspired to decorate your home with other Creative Christmas Decoration using some of our past articles 30 Ways to Shake Up Your Holiday Decor and 40 Unique Ways to Decorate With Christmas Lights to help get you started. 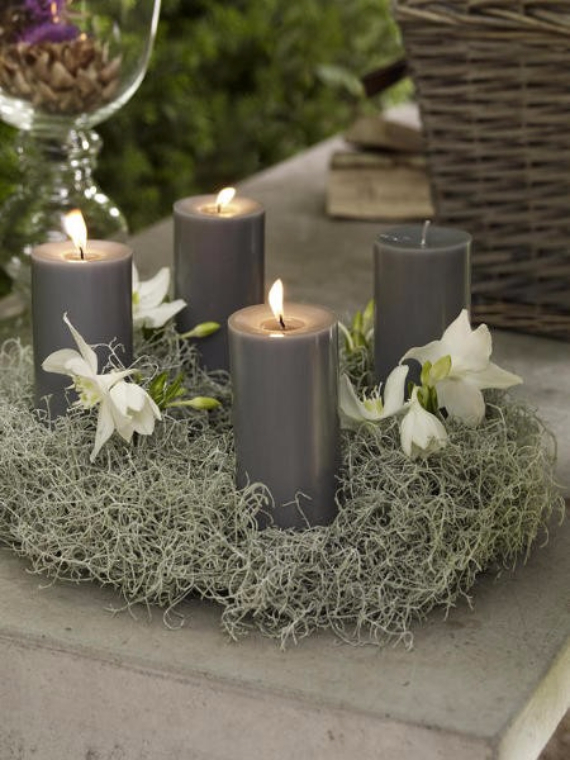 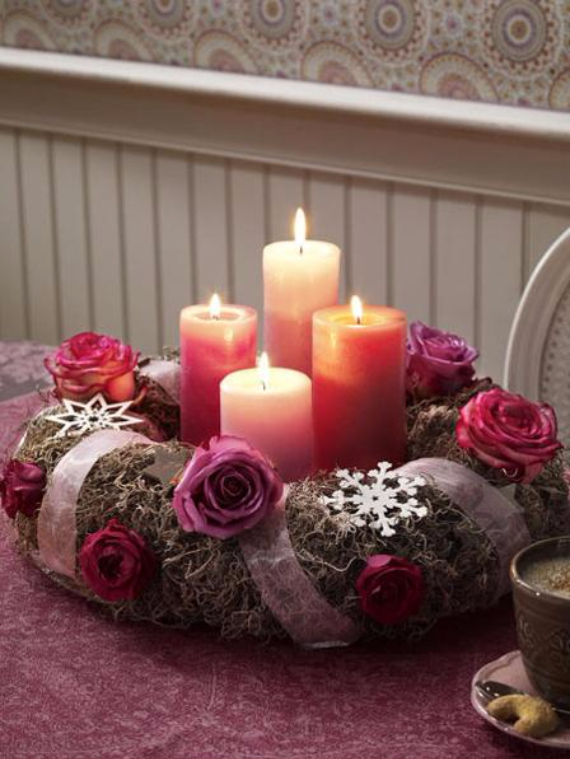 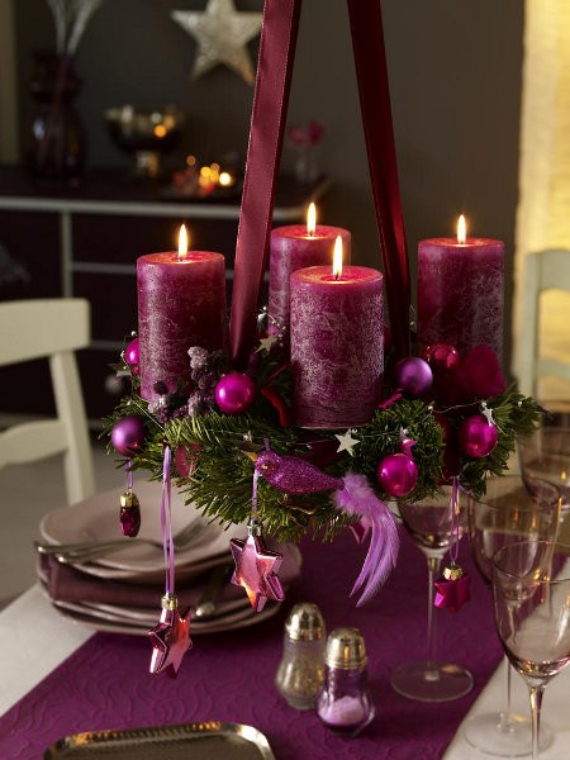 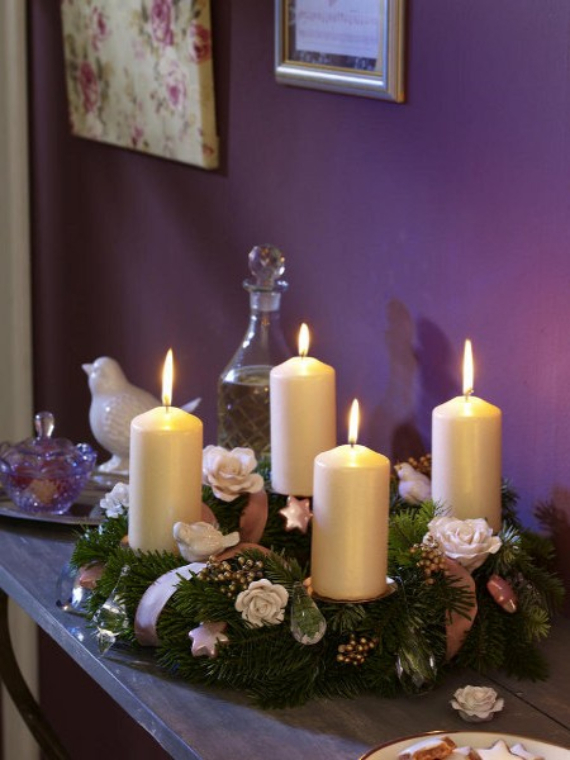 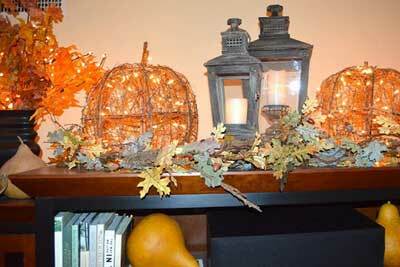 Advent wreath candles are a great way to begin family devotions and family gathered around the fireplace. 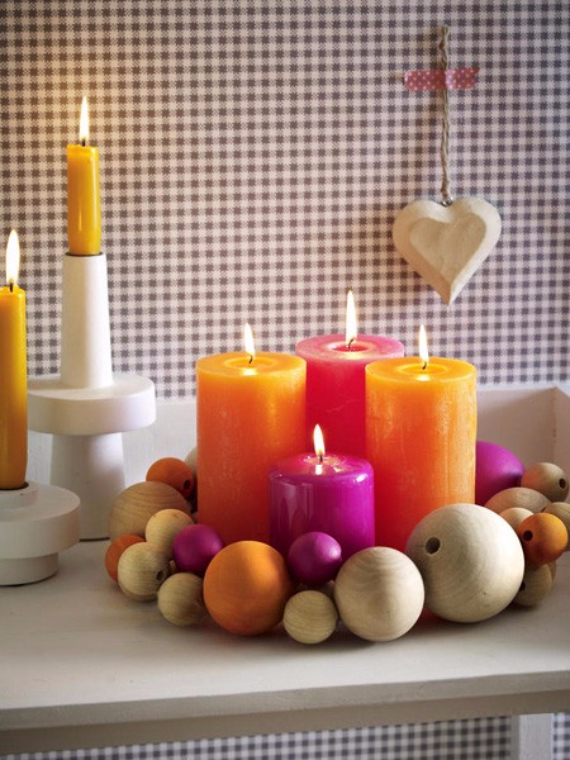 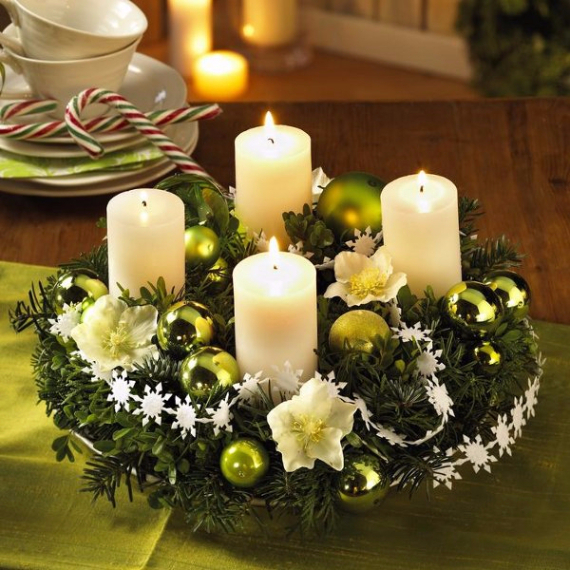 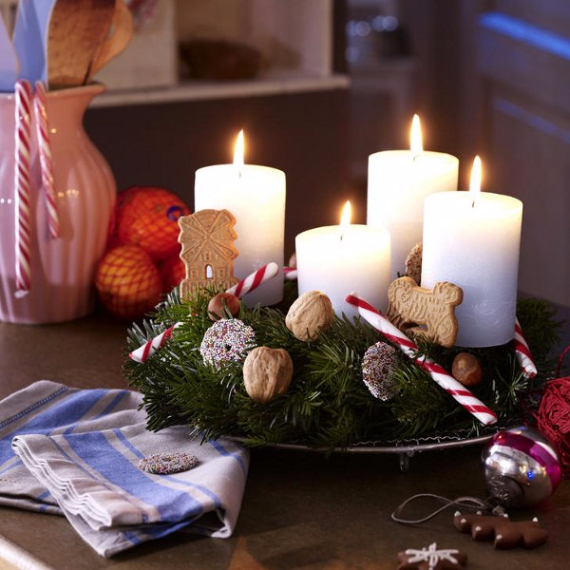 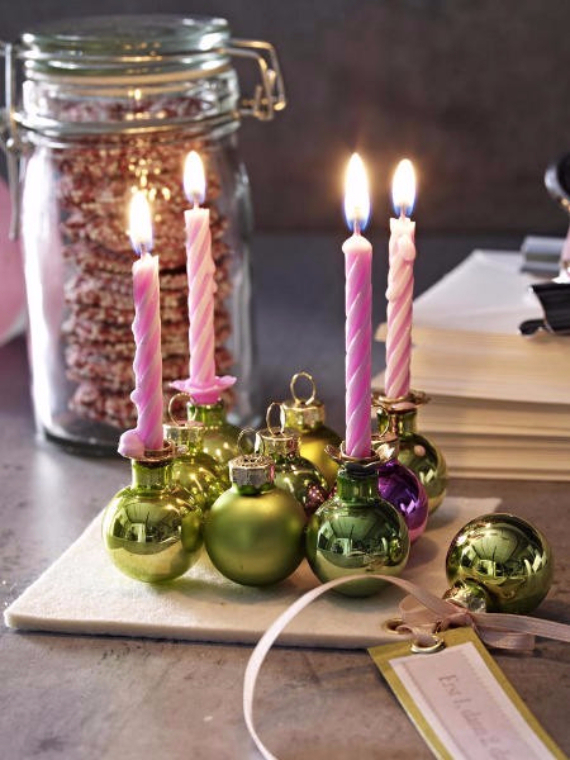 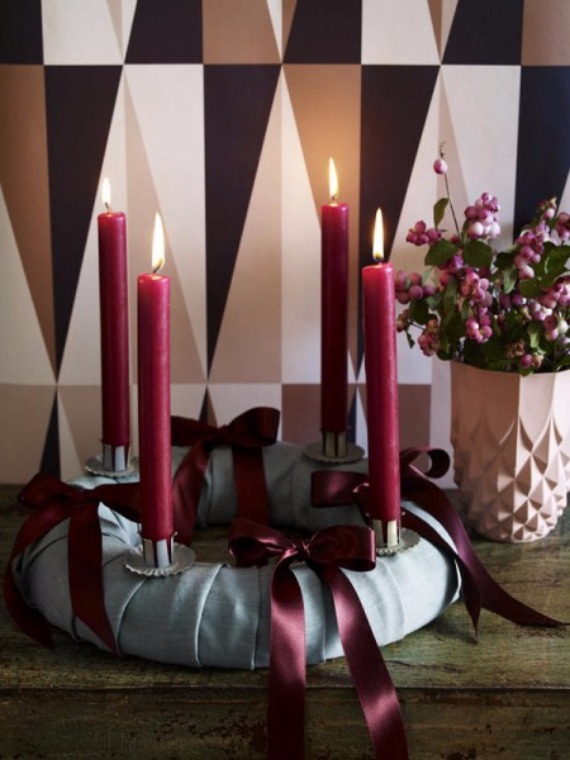 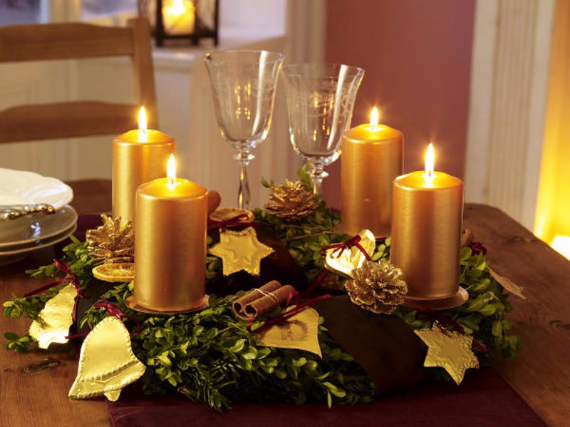 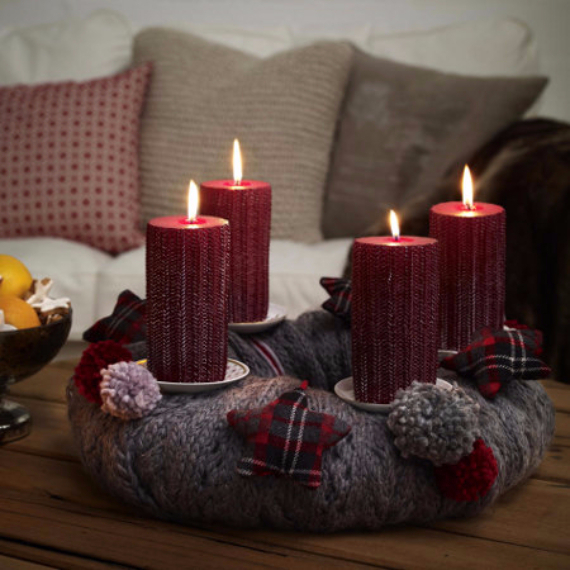 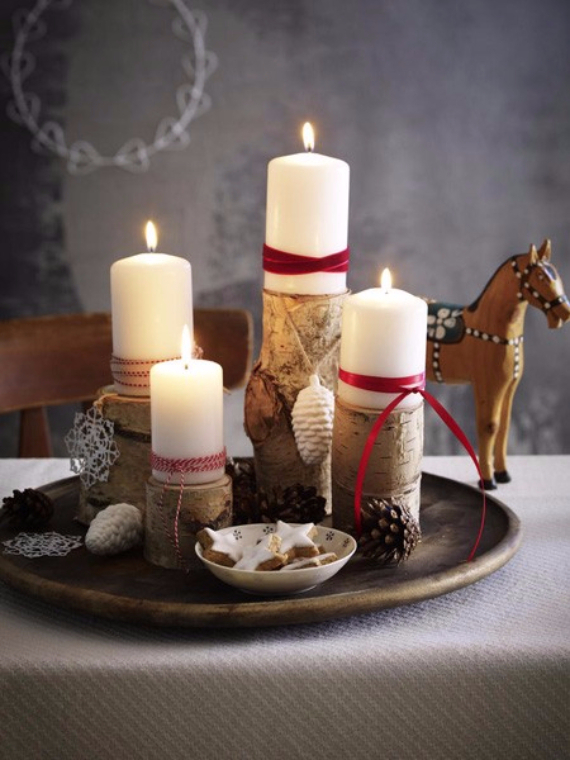 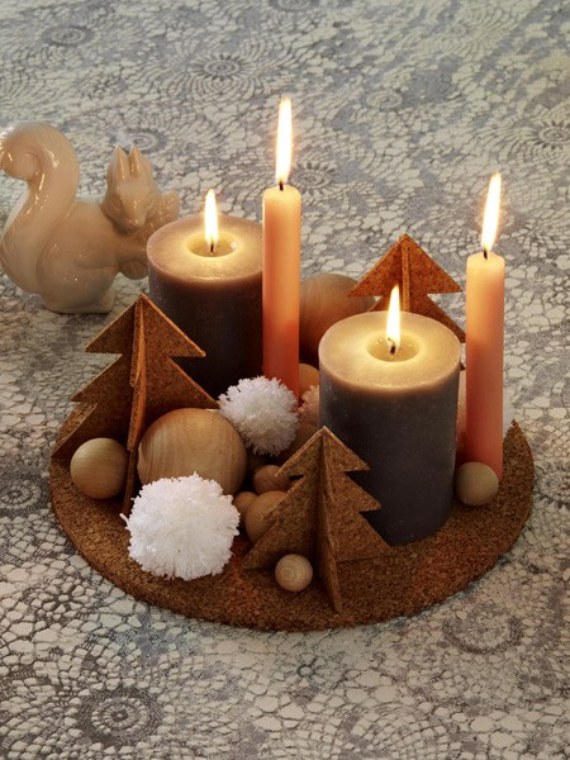 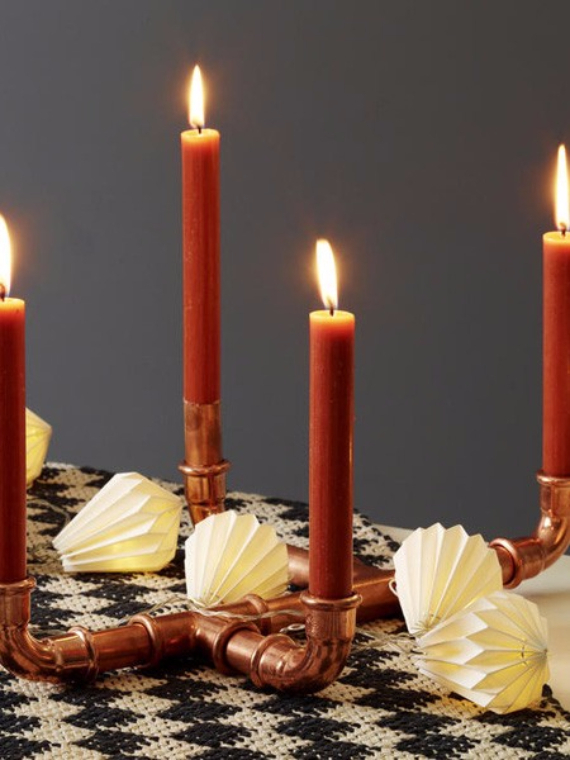 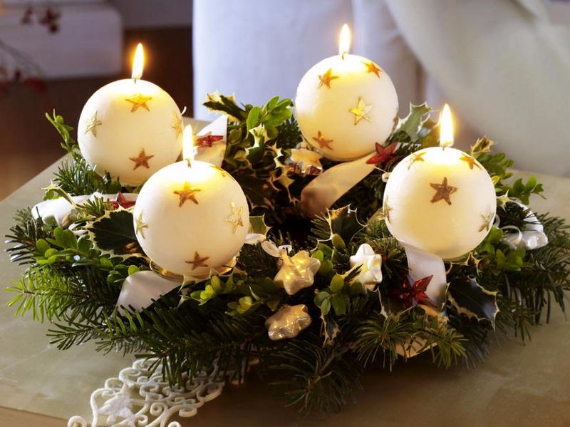 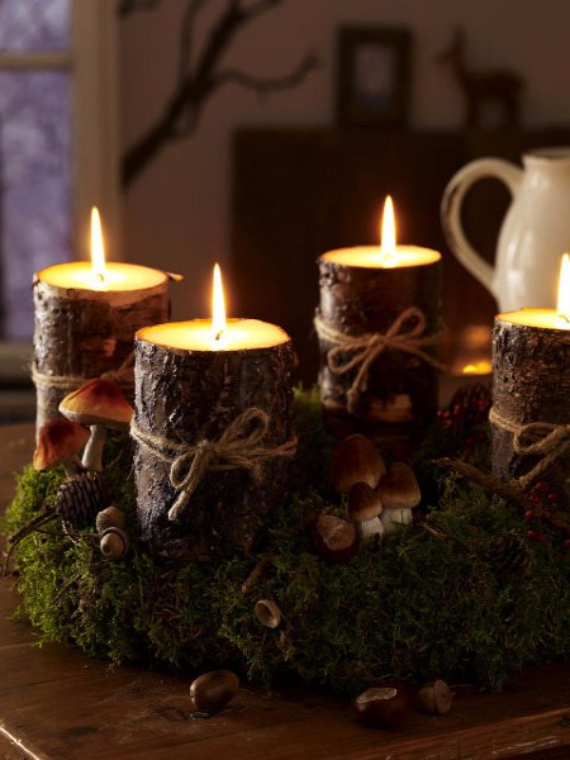 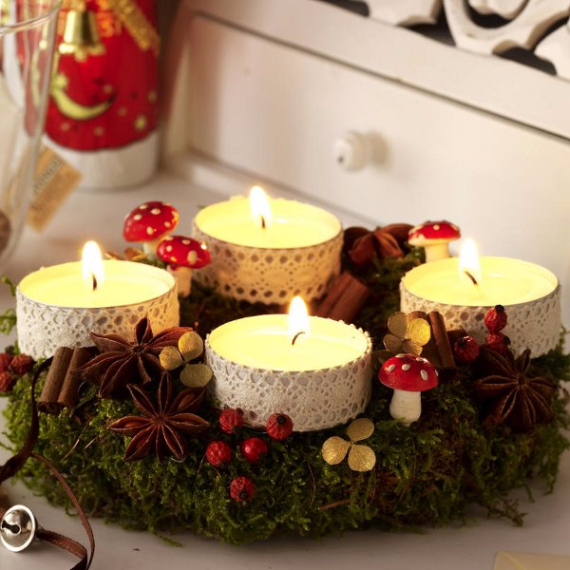 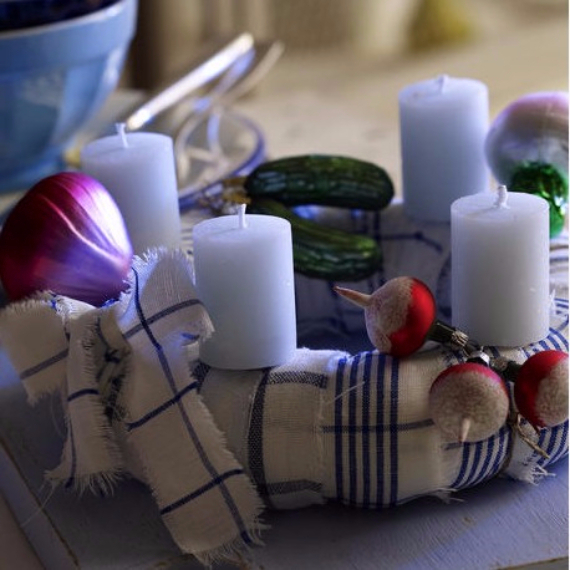 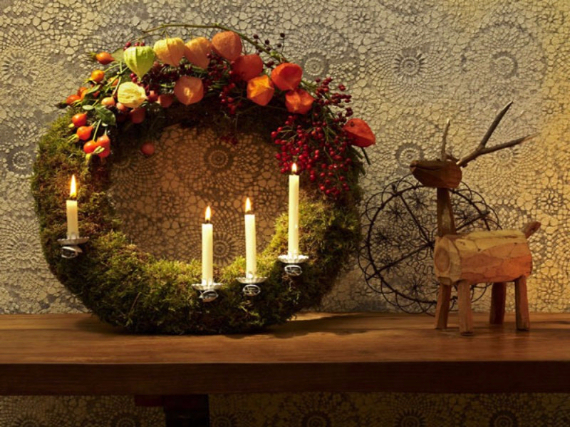 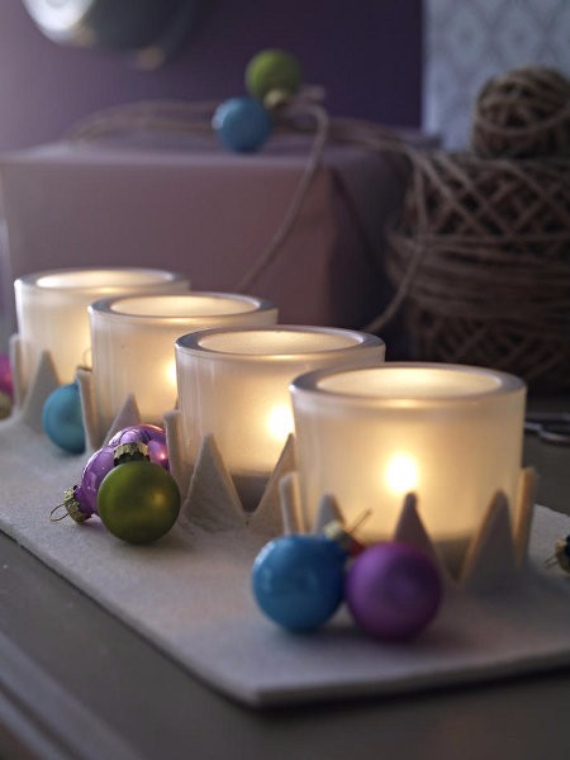 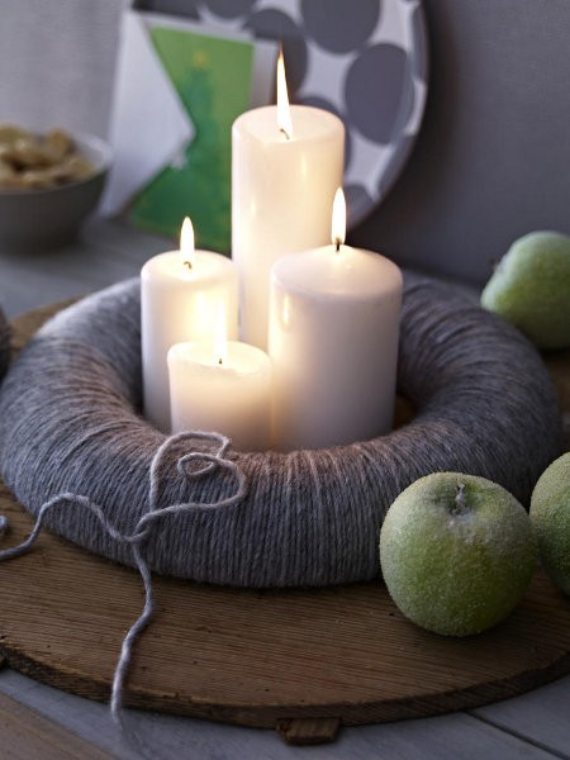 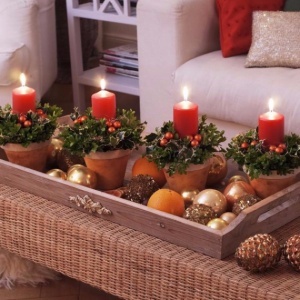 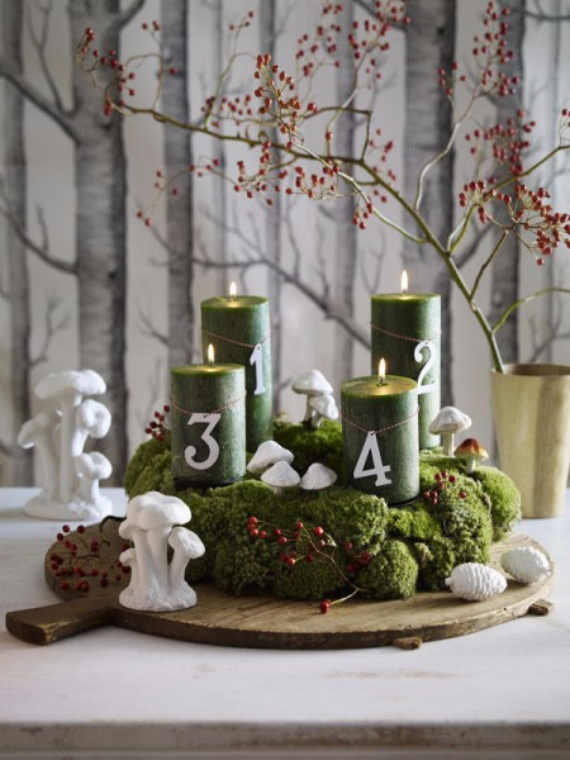 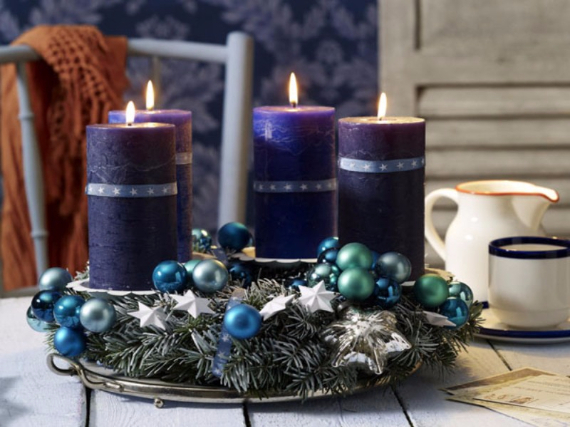 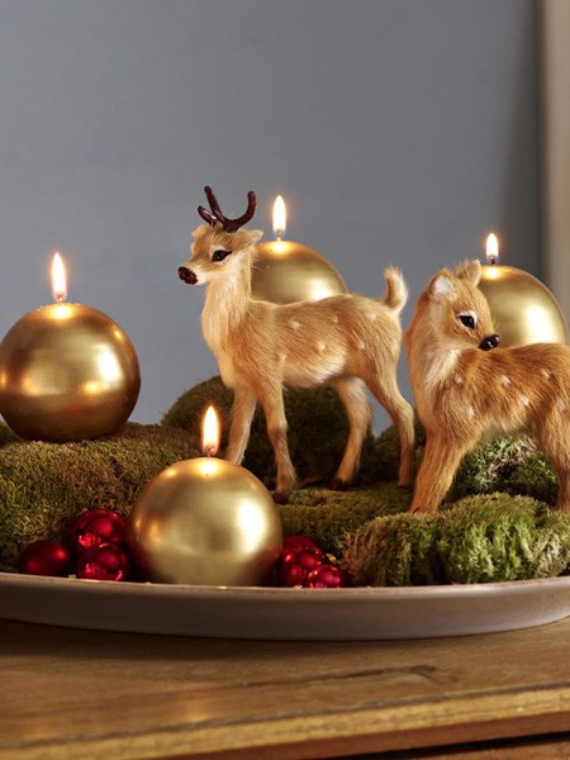 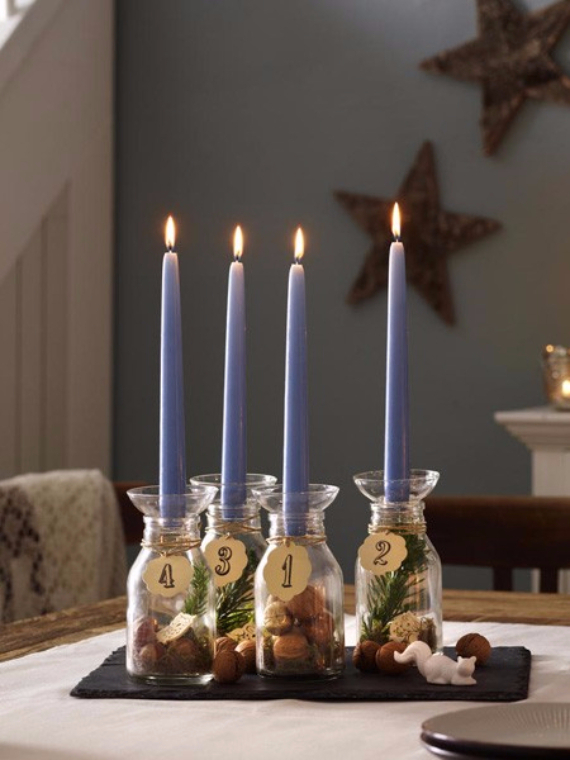 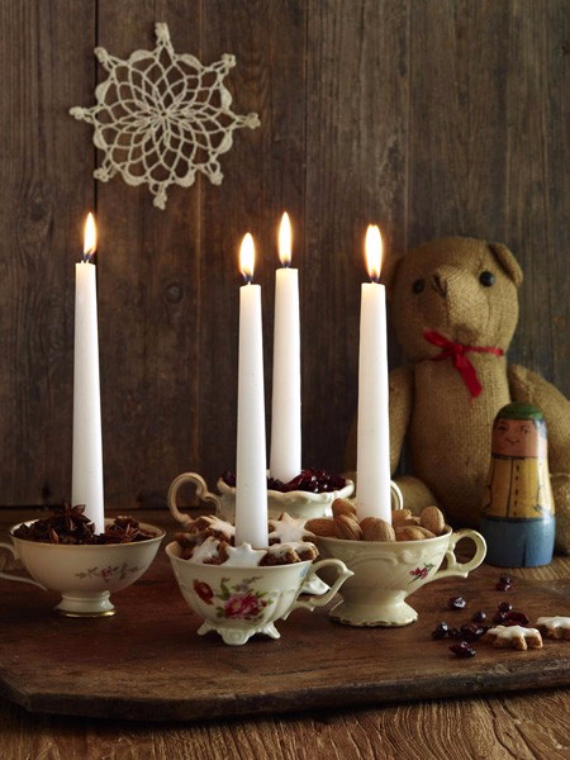 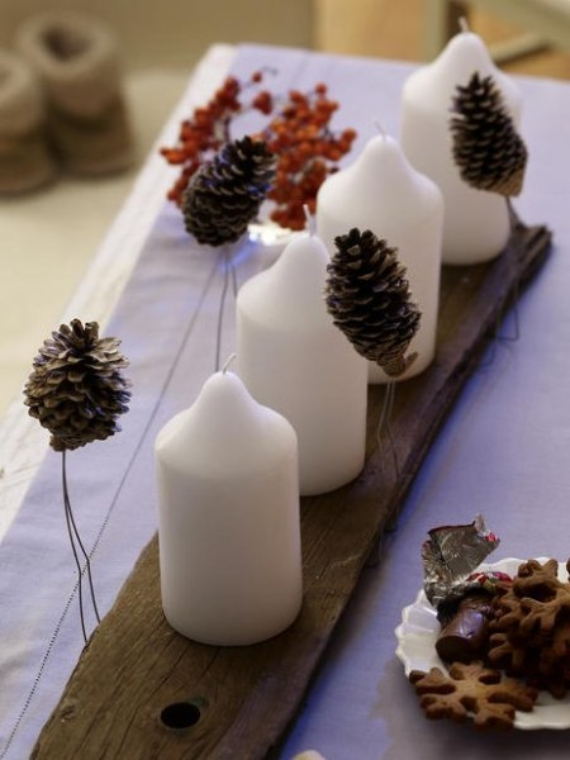 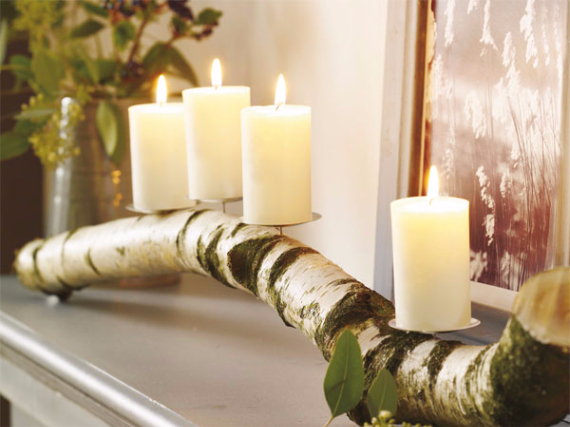 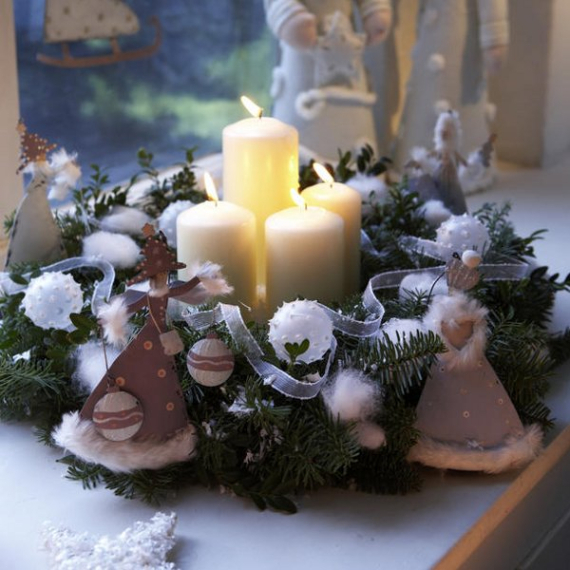 Make your own Advent wreath candles, just about anything will work for your presentation… or use any of these simple Fresh Christmas Decorating Ideas below to bring cheer to your house this holiday season.